In August 1963, Martin Luther King Jnr made his I have a dream speech, about true equality, about an end to racism and violence, about black and white people living in harmony. This is a very premature diamond anniversary, but that’s not why I’m writing about it on a prematurity blog. MLK argued that the Declaration promised Americans the unalienable Rights of Life, Liberty and the pursuit of Happiness, but Negroes (his word) were denied those rights. We still have some way to go: trending last week was a note left for a waitress; Great service don’t tip black people. But, almost certainly unbeknown to MLK, people of Afro-Caribbean ethnicity have a crucial genetic advantage: if an Afro-Caribbean baby is born prematurely, he or she has a much better chance of survival and healthy life than those of other ethnicities. There was a Nigerian baby, I’ll call him Tristan, born on the same day as my eldest. They were in high dependency together, briefly. Tristan was so tiny the nurses put him in their pocket when they changed his incubator. They could, because he breathed all by himself, while white babies the same age, like mine, were still ventilated. Tristan practically walked out of the unit while our monitors were still alarming. Premature baby girls do better too. Having had four babies far too soon, still not knowing why my stupid body seemed to pack up on pregnancy at about 30 weeks each time, I hoped my last one would be a girl. I would love any child; I didn’t care about girly things (in fact I found teenage girls a bit scary) but I knew a premature girl would be healthier. She was a girl and she did better with prematurity; breathing and eating all by herself. She turned a nasty shade of yellow with jaundice, but I let her off. We don’t know why premature girls do better either. It’s unbelievable. 15,000,000 babies enter the world too early every year. 1,000,000 die. Countless more are disabled. That’s more death and disability than from cancer or heart disease. That’s a dead baby every 30 seconds. And we don’t know why. We have no idea, why some mothers go into labour early and why some babies are born too soon. 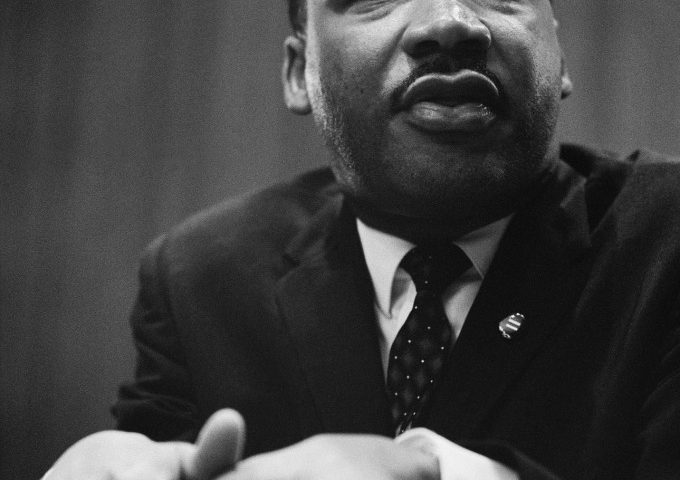 MLK spoke about the fierce urgency of Now. We need to know Now. And we cannot walk alone: we need scientists from all around the word to share their experience and expertise and work it out. We can get to the moon; we can work this out. MLK had a dream that my four little children will one day live as equals. And if his children had been born early they would have been first among equals, especially his daughters. But we don’t know why. I haven’t been oppressed because of my skin. But my family and I live with the consequences of prematurity, and we know how blessed we are that none of our babies died. To quote the great man one last time, It would be fatal for the nation to overlook the urgency of the moment. The moment – one minute – is 29 premature babies, 2 of them dead – is now. We need to find out why babies are born too soon and we need to work out how to stop it. I have a dream – the end of premature birth, and I want it NOW.